If you’re looking for quick and convenient products to serve for breakfast at your catered event or hotel breakfast bar, our frozen breakfast foods are the perfect option. We have a wide variety of breakfast foods you can choose from including customer favorites like pancakes, french toast sticks, waffles, and breakfast sandwiches. Additionally, even though these products are frozen, they retain their textures and flavors perfectly. Also make sure to check out other great items from Lancaster County Farms, AdvancePierre Foods, Aunt Jemima, Fry Foods, Groff's Meats, Hatfield and Jimmy Dean. With a large selection of frozen breakfast foods that includes customer favorites like pancakes, breakfast sandwiches, and waffles, it’s easy to find products that you can serve at your catered event or hotel buffet. 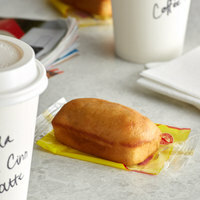 These products are conveniently frozen, so you can simply reheat them and serve them, rather than spending hours prepping for the breakfast rush. In addition to the time-saving aspect, our frozen breakfast foods have a long shelf life, so you can buy in bulk and keep them in your freezer until you need them. For more delicious prepared foods, check out our pre-made soups, lunch board, and bulk chicken. 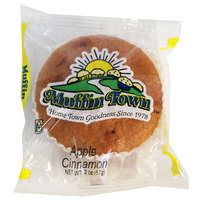 If you're wondering where to buy muffin town breakfast foods, we have a large selection of muffin town breakfast foods for sale at the lowest prices.